Best place for windserfing: Vetratoria and 5 kvadratov stations just on the hotel area. Best point for ridind at speed zone or baby bay. Value for money. Breakfast and dinner are good enough, with tasty confectionery. Taxi to the center (lighthouse) 15-20 EGP, and a lot of them riding around. ATM in the next hotel. That I managed to easily cancel my stay after one night of nightmare. I liked how people working there are treating the guests in good manners,they are kind and helpful. Food was very good. the staff was very nice. The food had lots of varieties, and was really delicious. The beach is amazing. Breakfast not so great, but dinner was so nice, with really slow-cooked meats, and tagine style rice. It is close to all the windsurfing stations, so this was the big plus. 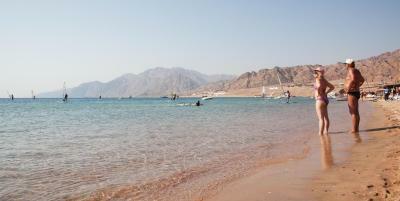 Boasting its own private beach, the 3-star Ganet Sinai Resort offers modern accommodation in Dahab’s lagoon area. Set amongst landscaped gardens, it features 4 restaurants and 2 pools. There is also a health club. Rooms feature garden, pool or Gulf of Aqaba views. All rooms have a balcony or patio and free Wi-Fi is available. Villas have a separate dining and lounge area with kitchenette. The main restaurant serves buffet breakfast and dinner. The Beach Bar Restaurant serves international cuisine. Snacks and drinks are available in the Pergola Café or the Speed Bar. 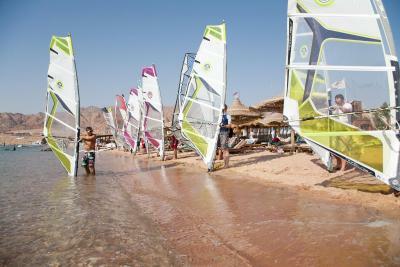 Ganet Sinai offers many water sport activities on site. Snorkelling, windsurfing and diving are all available. Billiards and table tennis can be enjoyed in the Pergola Café. 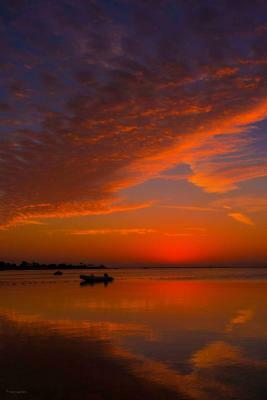 Dahab City is 10 minutes’ drive from Ganet Sinai. There is an airport shuttle to Sharm-el Sheik and free parking is available at the hotel. 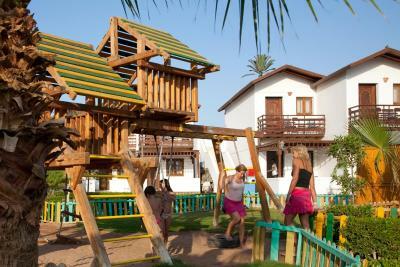 Ganet Sinai Resort has been welcoming Booking.com guests since 21 Feb 2012. When would you like to stay at Ganet Sinai Resort? Set next to a pool with pool bar, these light rooms feature private bathroom and flat-screen TV. All rooms have their own patio or balcony with pool or sea views. Set amongst the gardens and next to a pool, these light rooms feature private bathroom and flat-screen TV. All rooms have their own patio or balcony with garden and sea views. House rules Ganet Sinai Resort takes special requests - add in the next step! Ganet Sinai Resort accepts these cards and reserves the right to temporarily hold an amount prior to arrival. Not clean bed, bad bathroom, old furniture, doors, not true price. Room was smaller than expected and needed some upgrading (shower curtain was old and had damp stains on it). Little to no sea view. Food was mediocre. Easy distance to town. Grounds immaculate. Great beach. Old furniture. Week water pressure in the shower, and not very hot sometimes. WiFi 0,1-0,3 Mb/sec. Few places for lunch around. Absolutely nothing to do if not windserfing. Cleaning is not accepted ,food was too bad to even try it.